What to learn? To Be Good and Do Good. How to live? Love, Give and Forgive. 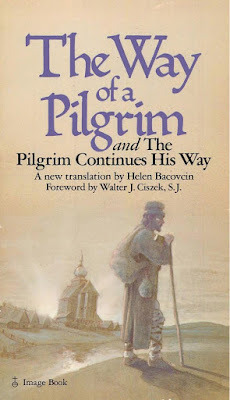 "The Way of a Pilgrim" is the English title of a 19th-century Russian work, recounting the narrator's journey as a mendicant pilgrim across Russia while practising the Jesus Prayer. It uses a pilgrim's journey as a vehicle to teach the practice of ceaseless inner prayer and communion with God. It has become in the West a classic of Russian Orthodox spirituality. No book has inspired more people to set out to discover the inner springs that nurture the life of Orthodox Christians and to learn the practice of the Jesus Prayer. It has been for many, a revelation about the life of prayer. This aim of union with God, is central to the Prayer in the Name of Jesus. Brief in form, it leads the soul to concentration and sets it face to face with God. Its tenor is such as will fix and bind into one all the forces of man, spiritual, mental, and corporal, in that single act of perfect devotion— loving adoration. It endows the being with absolute stability. At the same time it strips the soul of all subjectivity, all self-seeking, and sets it in the objectivity of the divine. It is both the path and the culmination of renunciation and self-denial. This godly question naturally arises in the mind of every Christian who realizes the injured and enfeebled nature of man, and what is left of its original urge towards truth and righteousness. Everyone who has even some degree of faith in immortality and recompense in the life to come is involuntarily faced by the thought, " How am I to be saved? " when he turns his eyes towards heaven. When he tries to find a solution of this problem, he enquires of the wise and learned. Then under their guidance he reads edifying books by spiritual writers on this subject, and sets himself unswervingly to follow out the truths and the rules he has heard and read. In all these instructions he finds constantly put before him as necessary conditions of salvation a devout life, and heroic struggles with himself which are to issue in decisive denial of self. This is to lead him on to the performance of good works, to the constant fulfilment of God's laws, and thus witness to the unshakableness and firmness of his faith. Ask God. Pray to God. Pray for His help. The seeker comes across the book called Philokalia, in which twenty-five holy Fathers set forth in an understandable way the scientific knowledge of the truth and of the essence of prayer of the heart. He sees that truly to pray means to direct the thought and the memory, without relaxing, to the recollection of God, to walk in His divine Presence, to awaken oneself to His love by thinking about Him, and to link the Name of God with one's breathing and the beating of one's heart. 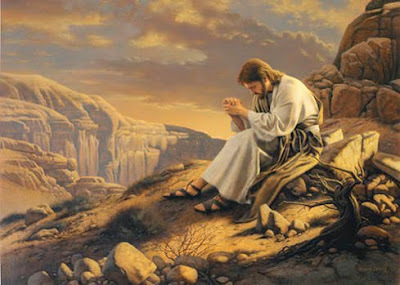 He is guided in all this by the invocation with the lips of the most Holy Name of Jesus Christ, or by saying the Jesus Prayer at all times and in all places and during every occupation, unceasingly. These luminous truths, by enlightening the mind of the seeker and by opening up before him the way to the study and achievement of prayer, help him to go on at once to put these wise teachings into practice. If you need the reviews about the best essay writing services company then this edubirdie prices reviews are one of the better and big websites from where you can read the number of reviews about the best essay writing services provider all over the world that will help you to get the best essay services for your essay writing.